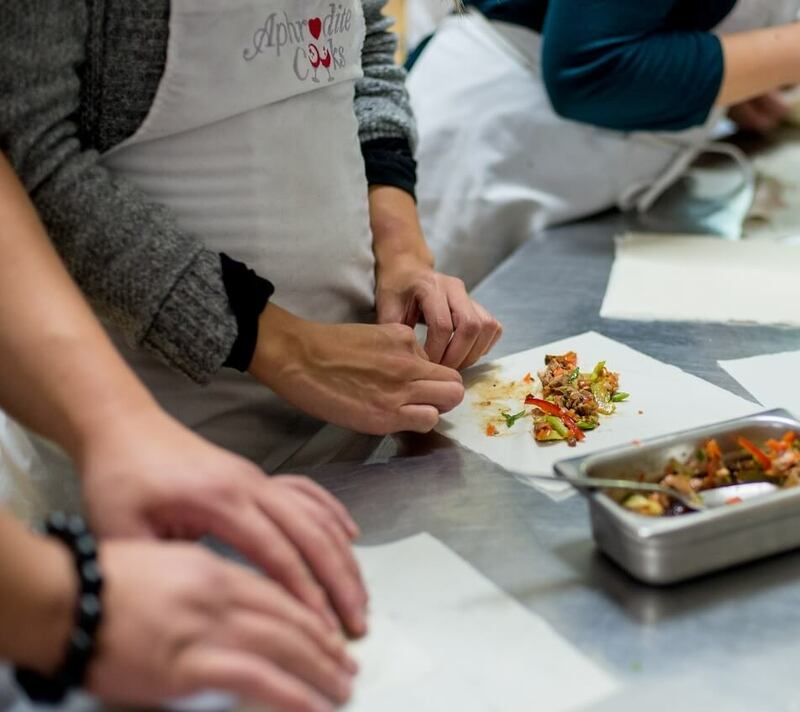 Aphrodite Cooks offers a variety of cooking classes for all skill levels, backgrounds and tastes. Our classes range from interactive demonstrations to hands-on. All we require from you is an open mind and willing palate. We are continuously offering great classes below. 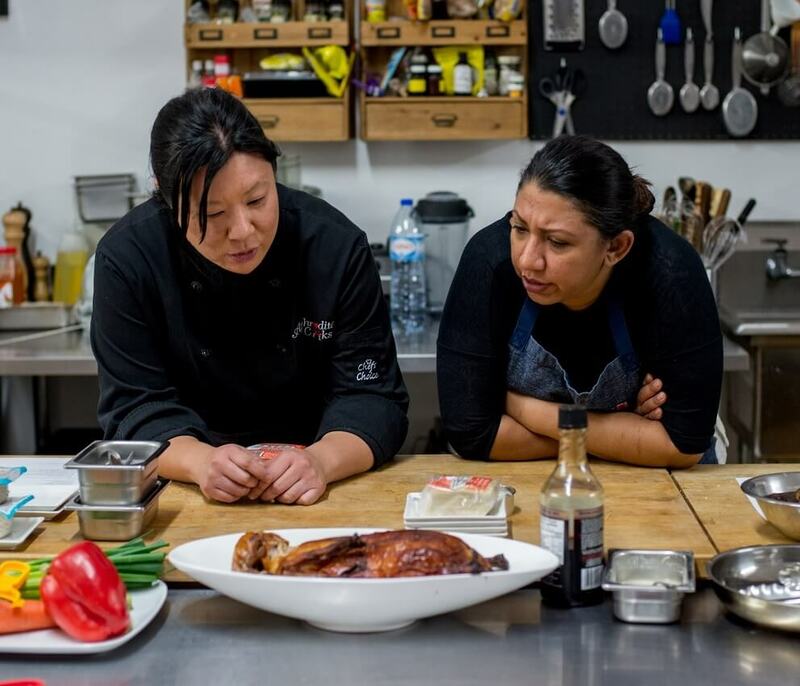 We do cooking classes, corporate cooking classes, couples cooking classes as well as private cooking classes right here in our Toronto location. Think of this as a unique night out, whether you’re married, engaged or dating. It’s like going out to dinner, but as a twist you will be preparing the meal. It’s a great way to expand your horizons, open new avenues of conversation, meet like-minded couples and just simply have fun. 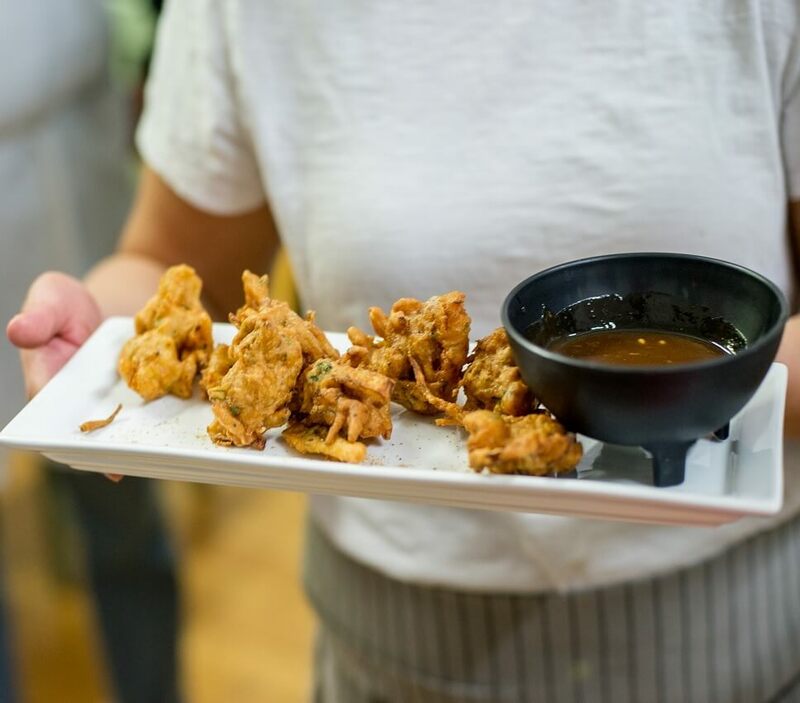 Our chefs will guide you through the menus, which while not intimidating for the novice, will still challenge those who already know their way around the kitchen. At the end of the class everyone will sit together and enjoy the fruits of your labour. It’s an unhurried, low stress, entertaining atmosphere for any type of couple. A fun and interactive way to pick up some culinary skills. Even the greatest chefs had to start some where. 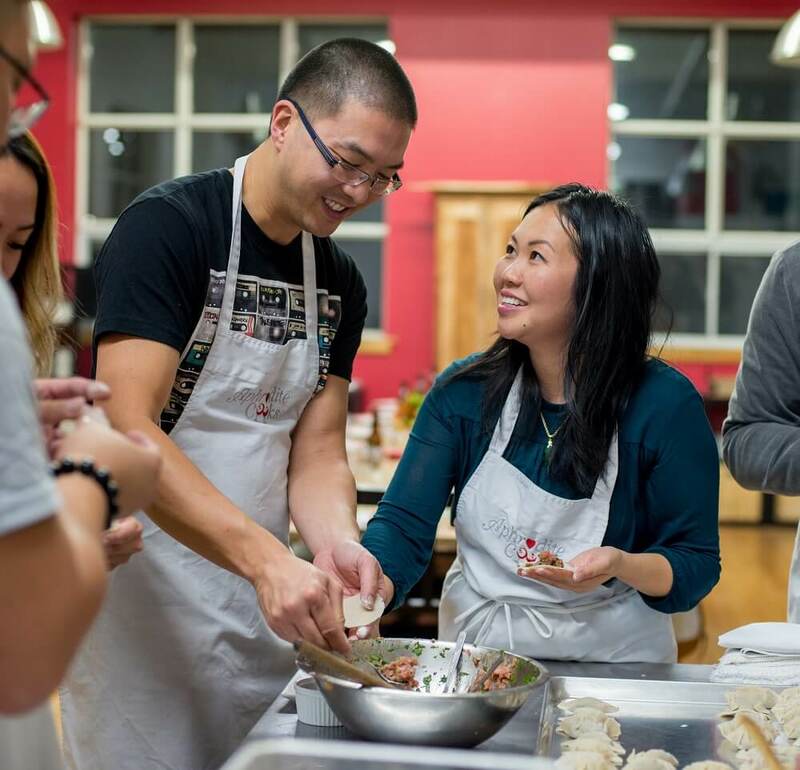 Working together in a kitchen and preparing a meal to share is a great way for colleagues to focus their energy and passion. Cooperation, planning and communication all come into play when everyone gets their hands into the preparation process. 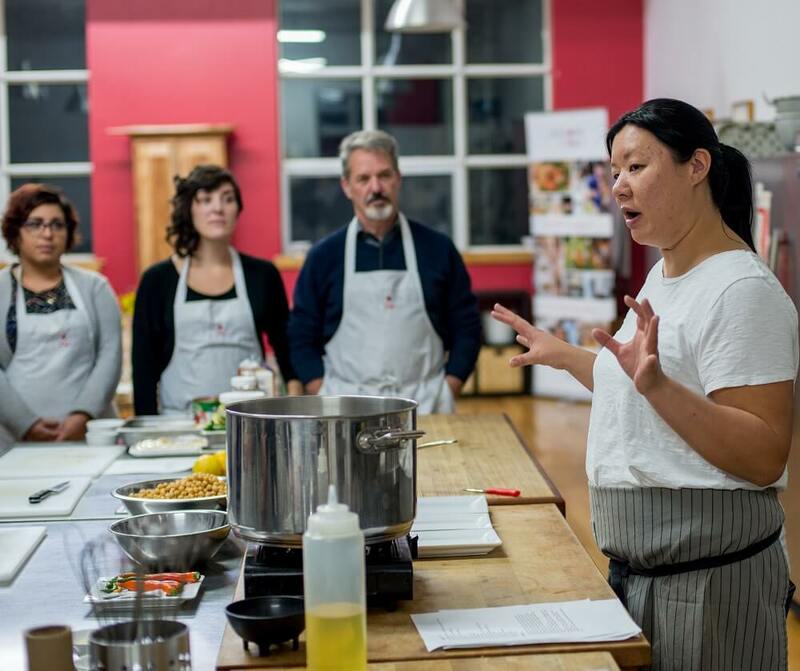 You and your guests will participate in a hands-on cooking class, guided by one of our professional chefs. Everyone is involved in the process, everyone is engaged, and best of all, you get to enjoy a delicious meal once the lesson is done. More than 1 week notice: Refund or rescheduling or transfer to another will be allowed. Less than 72 hours notice: No refunds or rescheduling or transfer will be allowed. No Notice : Where a student fails to inform Aphrodite Cooks or fails to attend registered class – NO Rescheduled Class will be issued. Gift Certificate Use: Where a student intends to use a gift certificate and is unable to attend a class, the above Cancellation policy is in effect. All Gift certificates will be debited or voided as applicable.